Search all for sale and rental listings in Vanuatu for Residential, Commercial, Holiday Rental, Vacant Land, Farm Land and Water Front Land. Island Property has been trading continuously in Vanuatu since 1990 as a Real Estate Agency and Property Developer. We have extensive sale listings of houses, commercial buildings, land, tourism projects, rental investment properties, apartments and farms. As Developers and Project Managers we know the opportunities that exist for investors and we can help make the right decision for you. We offer sound advice to the serious investor. 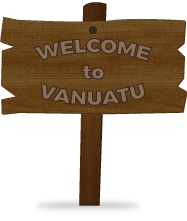 What are the benefits of doing business in Vanuatu? If you are a seller, why not list your property with us and join the long list of satisfied customers for whom we have found a buyer? If you are a buyer, why not contact us today to see how we can help you find the property best suited to your needs and your budget?